Last month the Agora in Gijón deleted the working groups (WGs). 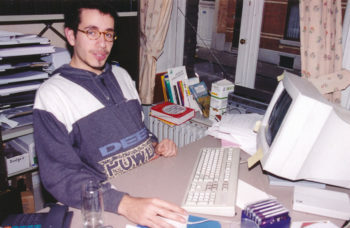 The reason: the WGs – once named “AEGEE’s thematic backbone” – were diagnosed as being inactive. However, in the past few years no one really made an effort to save them, to make them better. They could have learnt a lot from the past! Especially from the International Politics Working Group (IPWG), which once was AEGEE’s most actve working group. “In 2004 we organised around one event per month”, recalls Olivier Genkin, Honorary Member of AEGEE-Europe and once IPWG speaker. In 2008, Golden Times editor Gunnar Erth made interviews with four former IPWG speakers: Timo von Focht, Frank Burgdörfer, Olivier Genkin and Patrik Reuter. Get inspired by their vision and achievements. In what direction should the IPWG develop in the future? Olivier Genkin: I would be happy if IPWG organised one high-profile conference with more than 300 participants per year, besides other regular activities. Through such events, IPWG could gain more visibility and take a larger stake in shaping civil society. Important: I would recommend to have around 50 percent of the participants from outside AEGEE, as we have made very good experiences with this. Timo von Focht: The role of the IPWG is twofold. First, its educational role: teach the knowledge of international politics to the members. We should help people understand international politics, train them, make them interested. Second, as a think tank: try to figure out new ways in politics, go for new solutions in role-plays and get an understanding of the view of your neighbours. Both roles should in my opinion be emphasized. The IPWG should organise more meetings and EU simulations, discussion forums for example with EP parliamentarians, take part more actively in the political life of Brussels and help AEGEE locals to organise events with political background. Frank Burgdörfer: Maybe it could try to improve its links to the Network Commission and to the other working groups, especially the AEGEE Academy, to become more decentralised and even deeper rooted within the AEGEE network. Another major challenge could be to establish more ongoing annual or continuous activities, which then provide opportunities for members to find their particular role and responsibility. Patrik Reuter: In the past years, the IPWG was most of the time concentrating on Europe, and one development in the future maybe should be to focus more on the relations of Europe with other parts of the world. Yet, the recent developments of doing more training events should continue and be strengthened in the future, as such small non-formal education events can have a far higher impact on the personal development of our members then big conferences can have. If you had to suggest two possible future activities or topics for the IPWG, what would these be? Timo von Focht: A conference where EP members meet European students and discuss about internal or external politics of the European Union. Topic 1: EU and China – strategies for the future in the fields of economics, ecology, human rights and democracy. Topic 2: Democracy at its’ end? China, Russia, Italy, Southern America, the US – how can democratic structures and participation be reestablished? Frank Burgdörfer: One would be a big event, for example bringing together people from all over Europe and from the Balkans in particular to debate the future of this part of Europe and possible actions contributing to a reasonable future development. One would be a small activity, like a controversial statement to be debated in as many locals all over Europe as possible with an online documentation, visualising the extension and all aspects of the project. Olivier Genkin: The first would be a large conference about “Power”, a conference with multiple parallel case studies and workshop sessions, all dealing with the interdependencies of the powers of politics, companies and civil society. Case studies could be about EU directives, oil and Iraq. The second could be a series of congresses about “Europe-Africa”, “Europe-Latin America” and so on, aiming at elaborating the role of Europe in the world and the future of transcontinental relations. Patrik Reuter: Being a fan of Africa, I immediately can think of some topics dealing with this continent, these could be manifold, like establishing partnerships with NGOs in Africa, in order to have dialogue with youth from another continent, or as a second idea a Case Study Trip for mutual exchange of experiences and knowledge. Is AEGEE using the potential and experience of the IPWG enough? In what way does AEGEE benefit from the IPWG and vice versa? 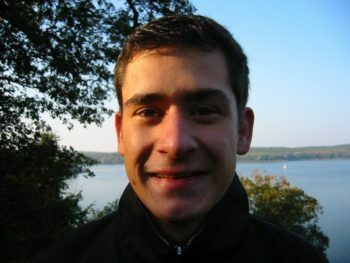 Frank Burgdörfer: AEGEE has good reason to promote the concept of working groups in order to stress its character as an organisation involving people with a broad variety of interests and in order to maintain several overlapping network structures enabling members to contribute to transcontinental projects. Olivier Genkin: I would say yes. IPWG has always had the image of organising high-profile activities with thematic focus, has often been asked to give its input, regarding projects and also other issues, such as how to react on the EU opening EU accession negotiations with Turkey, on the rejected Kofi Annan plan about the reunification of Cyprus, or on a possible cooperation of AEGEE with Nato. Moreover, by having many events with participants from outside AEGEE, I remember quite some cases where we recruited new AEGEE members through our activities. 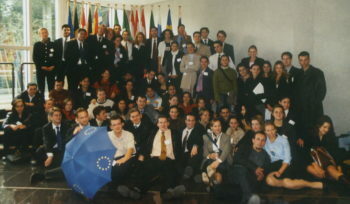 Many of these people later became very active on AEGEE’s European level. Patrik Reuter: Although I have no clear “yes” or “no” answer for this question, I would rather tend to say “no”. Very often AEGEE locals organise events that would fit in the framework of IPWG activities, but they do not even think of asking IPWG for any kind of support. Also for AEGEE-Europe, I experienced that projects are organised without taking a look at previous activities or without asking for feedback from people that might have certain background knowledge on the respective issue. Yet, when saying “no” here, it also means to somehow neglect the structure of AEGEE. 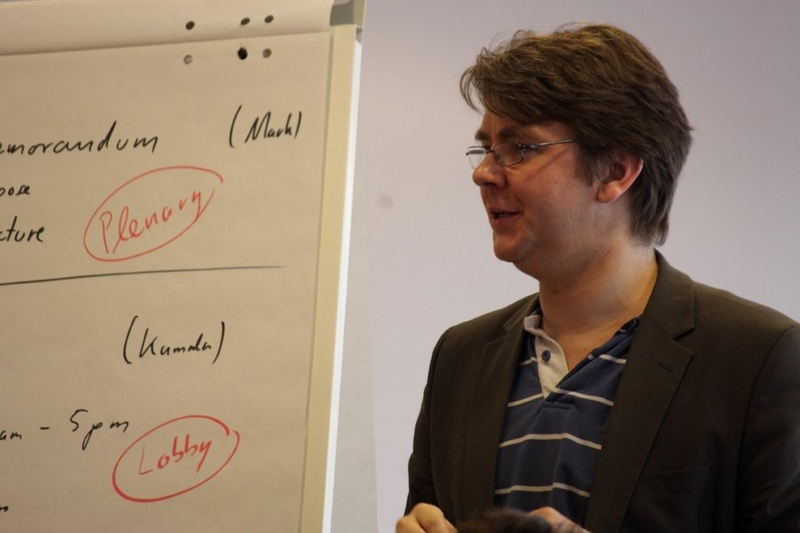 People are changing often, both in the IPWG and in other bodies of AEGEE. And we therefore should never forget that we are a students’ organisation, and it often is not relevant whether potential or experienced are used in a certain way, but what rally matters is to work on issues that are of current interest and that reflect the feelings of our members. If the existing know-how is used, it is great, but we should not always discuss why this does not happen always. In giving the members of AEGEE a platform for discussions, activities and exchange of experience in the field of international politics, the IPWG facilitates the political views of AEGEE members. The IPWG puts hot political issues on the agenda of AEGEE and it keeps controversial topics in the light of discussion. All these are only few aspects of how AEGEE benefits from the IPWG. As integral part of AEGEE, the benefits for the IPWG from AEGEE are laid down in the organizational structure, the human resources of AEGEE and the shared aims and values. What do you consider to be the highlight activity of your time as IPWG speaker? 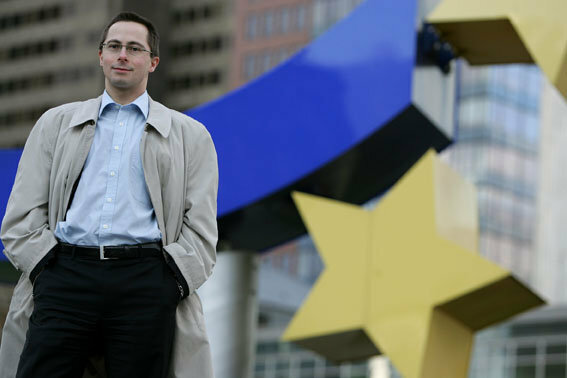 Olivier Genkin: Besides having spent four years in the IPWG board, I would mention the EU&Europe project, AEGEE’s main yearplan project 2004. I was project manager, the entire team consisted of IPWG members, the project was entirely run by the IPWG for AEGEE, with seven conferences, an action week and more activities. Timo von Focht: The Summit of 28 in the European Parliament in Brussels. 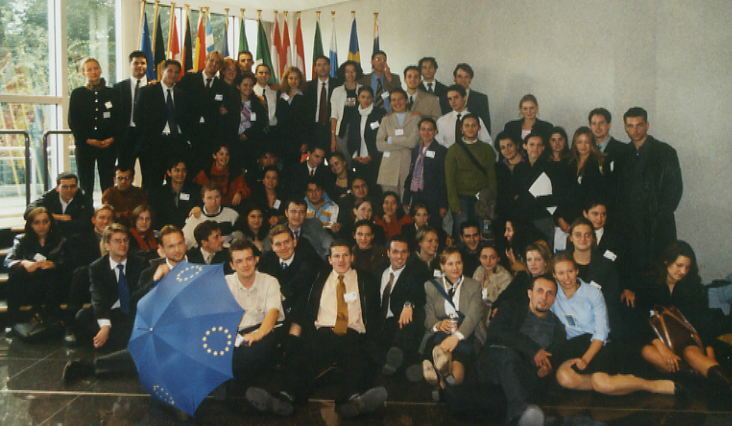 Over 200 participants from all over Europe came together to this European Parliament simulation in September 2001. We were not only simulating the procedures of the EP in the very rooms of the institution in Brussels, but we were also simulating the nearby future when the new members from Eastern Europe would join the club. This was the first time, that we were able to understand and live the experience of working in a multinational parliament. The enormous challenges within the EU, translation problems and national politics and policies – for example in the field of agriculture and subventions – came through. It was “international politics” live and with the true possibility to play a role in it. Frank Burgdörfer: In the beginning, every IPWG event was a highlight of its own kind as it meant something new. We somehow had to get started and to achieve first smaller, then ever larger successes in order to win supporters and to build a positive image within the network. Patrik Reuter: The highlight for me definitely was to work on our 10th anniversary publication. Collecting input from the past ten years of activities in the field of international politics, getting in contact with old and new members of AGEEE was an interesting but also challenging time. What was the greatest challenge of your time as IPWG speaker? Frank Burgdörfer: The time of the Kosovo war in 1998 and 1999. On our mailing lists and during our meetings the debates between Serbs, Kosovo-Albanians, Eastern Europeans and people from Nato countries got extremely tense; it became more and more challenging to keep mutual respect dominant and co-operation ongoing. Timo von Focht: Panagiotis Karras. As speaker of the IPWG I was also listmaster of the mailing list. One member of the mailing list, based in Athina, was spreading nationalistic, racial and antisemit thoughts on the list, insulting and putting the blame on anybody who would try to calm him down with an answer. We finally could not stand his postings any longer and took an unanimous board decision to throw him from the list – after warning him. He then resubscribed under different pseudonyms who were then discussing on the mailing list with long, long mailings why it was not good to exclude him. On the other hand side Karras tried to put pressure up via the CD against the IPWG – which failed. Olivier Genkin: The greatest challenge was to choose which topics to focus on, as the list of possibilities has always been full of interesting issues. With around one event organised per month in 2004, we definitely did too much and had to find more focus from 2005 on. Patrik Reuter: This also was the work for the 10th anniversary publication. Having never worked as editor-in-chief before, and not even having been part of a editors team meant to find my own new way but I also could learn a lot from this experience. 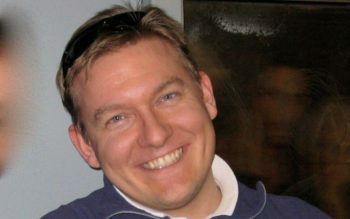 Timo von Focht: Next time I would not give railway tickets to the participants of an event, as done in the event “IPWG goes The Hague” in 2001. Why? As an organiser you need the tickets for the fiscal budget. And as soon as you give them to anybody without a receipt, you get troubles with your financial report. And no one remembered that I told them to keep the tickets and give them back – everybody just threw them in the next dustbin after the arrival of the train. Frank Burgdörfer: If I had a chance to start again, I would rather think of small activities giving many people an opportunity to contribute and many local branches a chance to experience co-operation with the IPWG as beneficial for both sides. Olivier Genkin: I should have involved my successors earlier in order to be able to leave faster after the end of my term. Patrik Reuter: I would start earlier not to do everything myself. Also as a speaker, it is important to be an integrative part of the whole team, the board. And doing everything alone does not mean that it is better – only with a strong team the working group can be strong, not with a one-man-show. Many political discussions on the main mailing list of AEGEE reveal that AEGEE members lack a lot of unbiased information about political conflicts. Shouldn’t the IPWG show more visibility and change this? Frank Burgdörfer: No, it shouldn’t. The IPWG cannot beat news agencies and Internet platforms existing. Olivier Genkin: The problem is that one can never know which information is biased and which is not. So we cannot pretend to know everything better, but I think that we are quite strong in getting many different opinions together and discussing them in a constructive way – especially since the discussion rules that we introduced after some trouble in 2001. The main political discussions that start on AEGEE-L always are a good way for IPWG to become visible as we usually redirect these discussions towards IPWG’s main discussion list in order to discuss on a more focused – but still understandable – level, without spamming AEGEE’s main discussion list, where not everybody is interested in these issues in detail. Patrik Reuter: Well, it would be great if IPWG could develop into a certain think tank of AEGEE and if IPWG could provide unbiased information on political issues for its members. I therefore would appreciate to see a certain focus on an increased visibility of IPWG in this field in the future, yet remembering the given human resources of both AEGEE and IPWG, and other tasks of IPWG, it has to be made sure that IPWG does not loose track completely of its current focuses. Is it easier or harder to make people enthusiastic about the IPWG projects than ten years ago? Frank Burgdörfer: I doubt that much has changed, although the strong record of the IPWG should make public relations and winning new members a bit easier. Olivier Genkin: I would say it became more difficult as there are many other AEGEE events organised per year, so – relatively speaking – the IPWG lost some of its visibility. 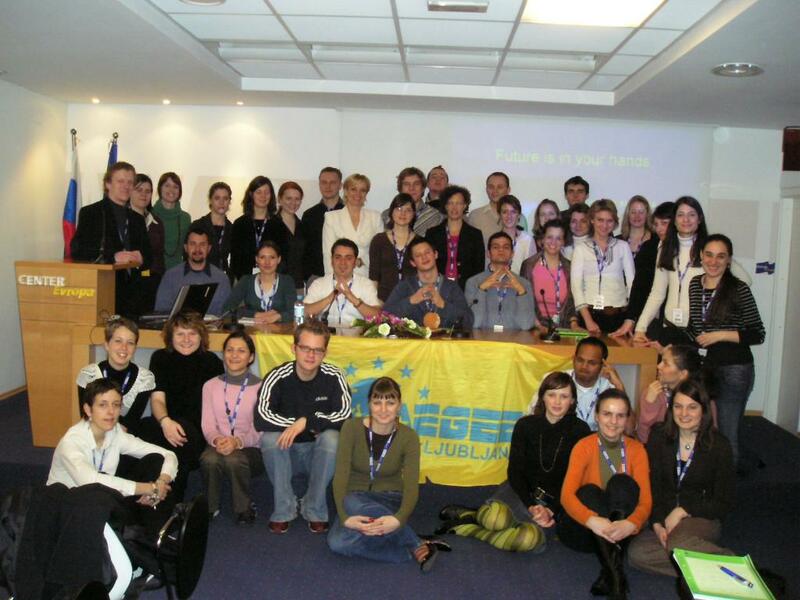 On the other hand, the reforms of 2002 enable the working groups in AEGEE to get some money from AEGEE-Europe which helps especially to promote activities within the AEGEE network. For the event “Europe’s Torn Identity” in Ljubljana, I remember that we received five times more applications than places, this is something we could call enthusiasm. What do you think about stronger cooperation with other NGOs dealing with similar topics as the IPWG? Timo von Focht: It will not really benefit to IPWG as far as my experience goes. You need a clear reason for doing this and clear benefits as well as a strategy. I do not see that. Frank Burgdörfer: No bad idea, but hard to realise. 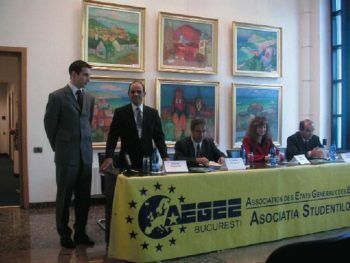 For particular projects, the IPWG – just as AEGEE in general – should always look for strong partners – it has good reasons to be self-confident and can be a unique partner for others. Nevertheless, in the long run any co-operation with outsiders will decrease the ability to co-operate with other bodies of AEGEE and I believe that there is much more to win inside than outside. Olivier Genkin: The IPWG’s major mission and target group is inside of AEGEE. But we should of course not be limited to this. That is why we often had partner organisations depending on the specific projects. This is something that should not stop, maybe even increase. Patrik Reuter: In 2007, AEGEE-Europe signed a partnership with IAPSS (International Association of Political Sciences Students). I think this co-operation could be the starting point for additional links with other Youth NGOs. For IPWG such co-operations symbolise a huge potential, and the establishment of more such partnerships can be beneficial for both sides. Yet, the very specific structure of AEGEE should always be kept in mind, external co-operations therefore should be sought when beneficial for the members of our association, but partnerships for the sake of having partners will not help.